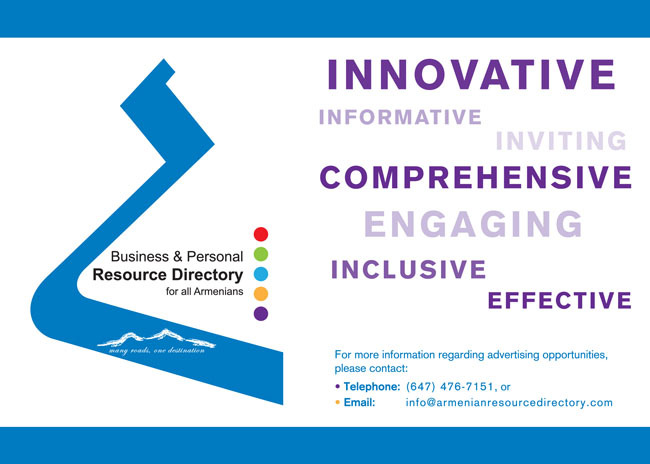 Ontario’s First Armenian Resource Directory is available now! Call us today to obtain your copy. 416-431-3001.